From delicate coconut dragées to rich hazelnut chocolates, this Easter gift box is overflowing with an abundant array of Italian confections. Our artisanal producers incorporate the best all-natural ingredients into all of their age-old recipes, down to the classic Easter dove-shaped cake, colomba. Literally “Easter Sweets,” Dolci Pasquali will give the sweet tooth in your life a decadent spread to savor during the Easter holidays. 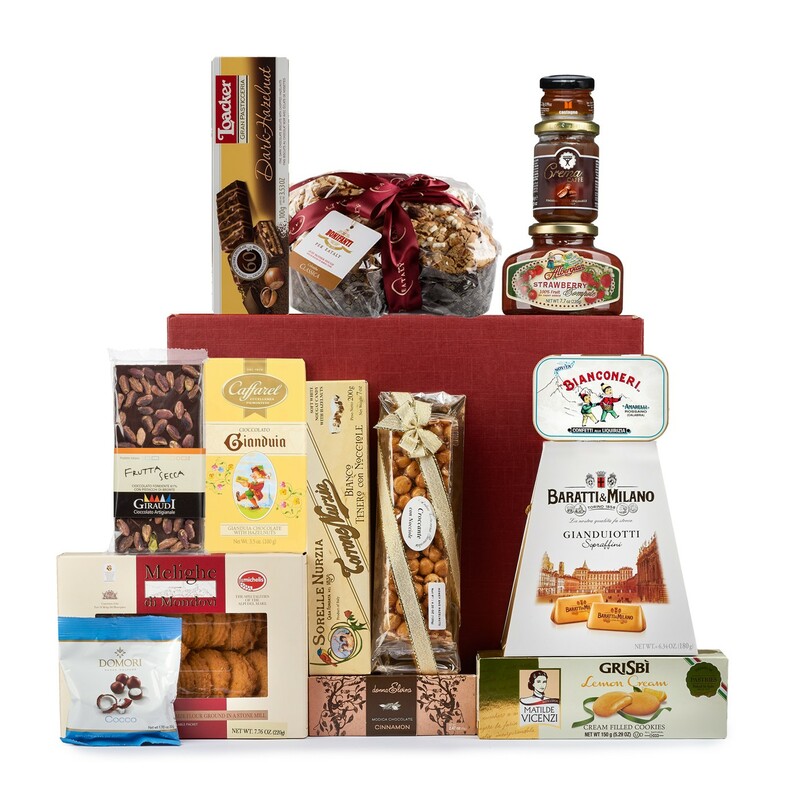 Albergian's Strawberry Compote (7.9 oz), Amarelli's Bianconeri Mint Licorice (1.8oz), Antica Torroneria Piemontese's Crunchy Hazelnut & Honey Bar (4.2 oz), Babbi's Coffee Spread (5.3 oz), Baratti & Milano's Gianduja Milk Chocolate (6.3oz), Bonifanti's Classic Colomba Cake(26.26 oz), Caffarel's Gianduja Milk Chocolate Bar (3.53 oz),Domori's Coconut Dragées (1.76 oz), Donna Elvira's Modica Cinnamon Chocolate (2.47 oz), Giraudi's Dark Chocolate with Pistachios (3.5 oz), Loacker's Dark Chocolate Hazelnut Gran Pasticceria (7.05 oz), Michelis' Melighe Corn Cookies (7.8 oz), Mieli Thun's Chestnut Honey (1.1 oz), Sorelle Nurizia’s Soft Almond Torrone (3.5oz), and Vicenzi's Grisbi Lemon Cream Cookies (5.29 oz).